Ted Hebert is an Inventory Management Specialist. He has worked in industrial distribution and inventory management for over two decades. His experience working with manufacturers, medical facilities, government, and law enforcement agencies managing inventory has provided a unique perspective few in the world can claim. Ted Hebert Research is a company of Inventory Management Specialists. We are committed to creating a more productive, efficient, and cost-effective method of managing inventory. We are no frills, no nonsense, and committed to your success. Inventory Management is critical to the health of any manufacturing organization. If you don't properly manage the tools, materials, and supplies used to produce your products and keep your plant running, you are losing time, and most importantly money. This area of the supply chain process has long been overlooked, but more and more manufacturers are realizing that they must get a handle on Inventory Management to stay profitable. THR draws upon years of experience working on all sides of the manufacturing process. 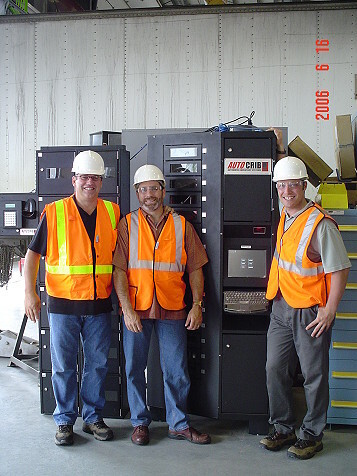 From shop floor management to distribution, software to hardware, we've experienced it all. We've worked for and with Fortune 500 companies, and we've worked for and with smaller, local manufacturers. By bringing all areas of the manufacturing process together we are able to help companies of all sizes reduce expenses significantly while at the same time becoming more productive. We do things a little differently. We like to have have fun while providing exceptional service. Inventory/Supply Chain management is not often considered the most "fun" topic, but we do our best to enjoy what we do. You will enjoy working with us, and we will have some laughs along the way. Work doesn't need to be boring, and it is definitely not with THR.